Zac Avery is the leading home loan broker for Brisbane based finance firm, Blue Fox Finance. He is an expert in his field and has personally assisted countless individuals and families in their property dreams. He understands that Australians want to be able to own a home, but in the current climate this dream is becoming increasingly difficult to reach. Avery helps his clients every step of the way to ensure they find the best loan possible, which is most suited to the individual’s situation. He is proud to have helped so many people reach the milestone of owning their own home. As well as this, he is always keeping up to date with the latest changes in the industry to ensure he is always on the top of his game and helps to push the business to be one of the leading mortgage brokers. Tell us a little bit about your background and how you ended up choosing the finance industry. After finishing school, I spent almost 4 years studying at The University of Queensland, this time was split between studying a Bachelor of Software Engineering and a Bachelor of Chemical and Metallurgical Engineering. After leaving University, I still had no idea what I wanted to do as a career only that Engineering wasn’t for me. The next step in my journey came about when I was offered a shot as a Real Estate Agent with Coronis Real Estate. I first did an unpaid trial with Coronis for a week, which in hindsight was the worst work week I’ve yet experienced – it was 12 hours every day and to succeed meant to book an appointment with a new house seller every day, which is basically an impossible feat. 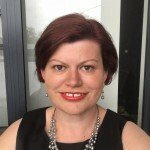 After my trial with Coronis, I went on to work as a full time Real Estate Agent with Elders Real Estate for a little under a year, until one day, my sister’s Mortgage Broker in Gladstone gave me a call unexpectedly asking if I’d be interested in a position as a Mortgage Broker in his business. I spent over 2 years working as a Broker and learning all about the finance industry, completing my relevant studies whilst working. Starting my own business was always something I knew I would one-day do, even if I expected it to be a little later in life. After leaving Gladstone and moving to Brisbane to continue as a Mortgage Broker, starting my own business was always an option from day one. Whilst exploring my options: how I would do it, creating a business plan, which aggregator I would use etc., I also talked to various Mortgage Broker firms in Brisbane about potential employment. There were many opportunities, but they all offered me the same basic deal: “You get a low retainer, you’re expected to source most of your own leads, and we expect a cut of your commissions”. Nothing I was offered made sense to me as an alternative to starting my own business, so I continued with the plan and opened shop in early 2017. What would you say is the biggest thing you learnt while setting up your business? It’s a lot of work, and things never go as you expect. The setup of a business is a lot of work, but after the initial setup is when everything starts to get difficult. After everything is in place and you’ve been officially trading for a month or two, this is when you need to start getting regular enquiries and clients – which is the hardest part. Getting new clients is a very difficult and ongoing task, and is much more difficult than I anticipated. The second major thing I learnt is the mental shift that occurs when working for yourself: I’ve had a lot of jobs in other people’s businesses and working long hours, weekends, and public holidays was something I would only ever do begrudgingly. Since working for myself I not only work the longer hours, but I’m happy to do it knowing that it benefits me and my business significantly. Have there been many changes recently to the industry that impact the way you do business? Compliance requirements for credit licensees are getting stricter all the time. Personal loans and car loans have become a much more difficult task since the introduction of various compliance requirements and documents: I now need to meet every client face-to-face and prepare various additional, time-consuming documents. This makes the whole process much less appealing for clients, and essentially reduces my target audience to Brisbane only. The Australian Government has also undergone a large crackdown on investment lending over the last 12 – 24 months. The new restrictions make it both harder and more expensive to get investment loans, further reducing my potential client base. What piece of advice would you give to someone looking to start their own business? Overprepare and under-expect. Have a plan and a budget, and be sure to stick to it; however, when making the budget, prepare for the worst and have a backup plan. You also need to mentally prepare yourself for 70+ hour work weeks if you really want to succeed, and this comes at the cost of seeing friends and loved ones. Talking to your partner and family before undertaking entrepreneurship is highly recommended; you’re going to need support and they need to understand that you are likely to be somewhat absent for the first 12 – 24 months. How do you differentiate yourself and the business in this highly competitive industry? Technology is my advantage. I have a background in software and web development and have used this as the backbone of my marketing strategy. Approximately 90% of my clients come through Google or another online source. When starting my business, I knew I was getting into a competitive market, but I also saw an opportunity: the majority of the Mortgage Broking industry is owned and ran by an older generation, who are more inclined towards traditional marketing strategies such as radio, TV and billboards. I bypass a large portion of the market by going online, by having a fast and high-converting website and ensuring I’m in a prominent spot on Google for anyone looking for Finance or Mortgage Broking services. What has been the biggest thing you have had to overcome when starting your own business? Initial cashflow was the major problem. I started my own business with a lot of cash at hand, expecting it to go much further than it did. Whilst I got enquiries in the early stages, they were very minimal for the first 6+ months, and even then, I wouldn’t get paid for 2 – 3 months after the initial enquiry. My solution was Uber – when I started running low on funds, I would drive from 5am – 9am, work on Blue Fox Finance until 5pm, then set off to drive Uber around until 10pm again almost every day. Is there anything about your business that you would change if you could start over? There is nothing I would change about the business in its current state; however I would have changed the way I got here. To help with cashflow, I would’ve either: got a job and saved more before starting, or worked a part-time job on weekends from day one (or both). I would still have stuck with the digital marketing strategy; however, I would have gone about it in a different way. An example is my website (which is my main lead generator): I’ve recently re-made my website which has given increases in traffic, user experience and conversions. Doing this on day one would have had a compounding effect which would have helped the business grow much quicker. All-in-all, I’m happy with my business, and although the road has been tough so far, I’m really glad I did it. 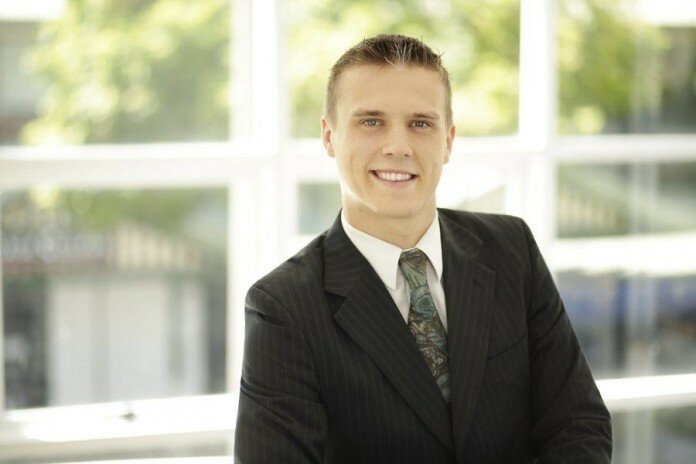 Zac Avery is here to help his clients every step of the way and to ensure they fully understand the process of obtaining a loan, any fees involved – so there are no surprises down the track. The personalised service from Avery and the team at Blue Box Finance has made them a stand out as mortgage brokers in Brisbane.